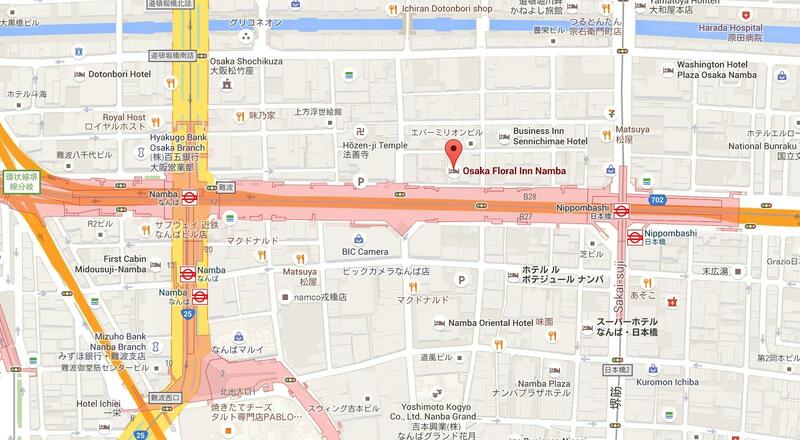 If you’ve read ≪Welcome to Osaka≫, you’ll know that I stayed two nights in Osaka, both at different hotels. 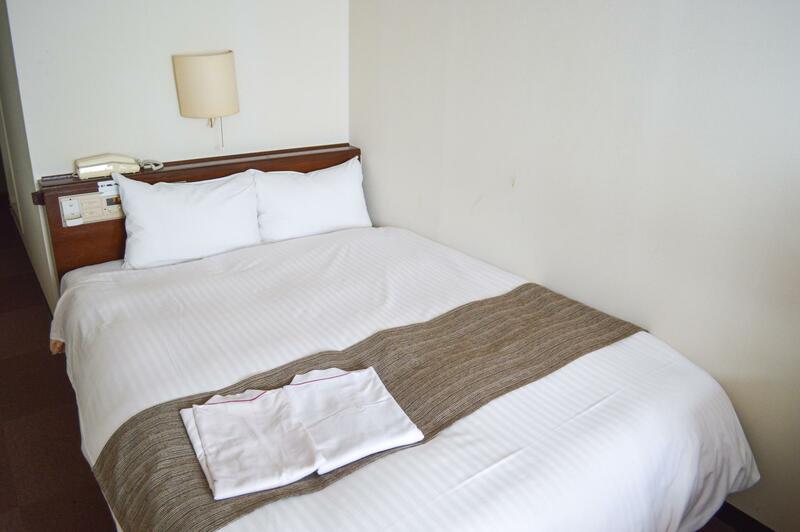 For me, a hotel is simply a place to rest, a place to sleep when you’re travelling out and about exploring foreign cities so it doesn’t need to be extremely fancy. 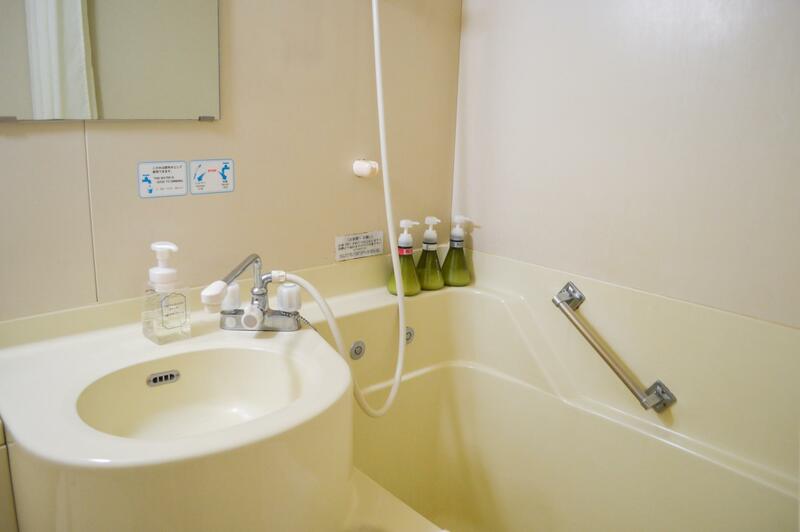 The main thing I look for is cleanliness and I have a thing for bright hotel rooms. That said, based on my own criteria, I recommend both of the hotels that I stayed at. 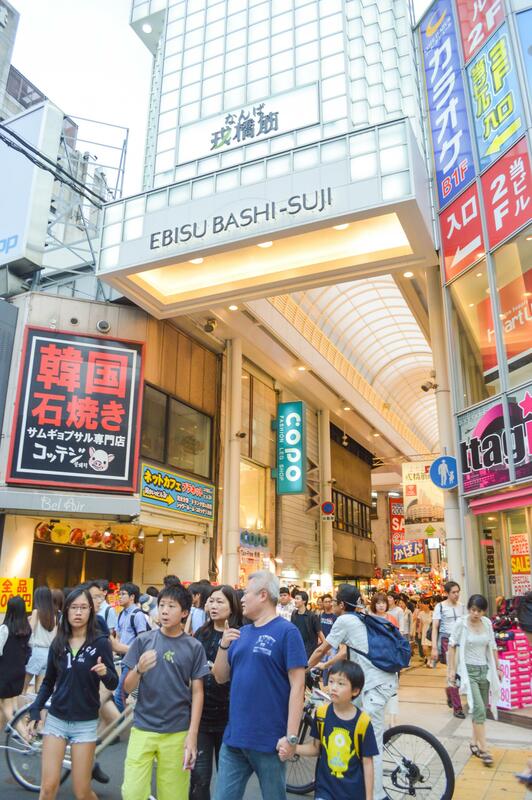 However, I’ve come up with a more detailed breakdown of the pros and cons of each so you can evaluate them yourselves if you’re planning to visit Osaka anytime soon. 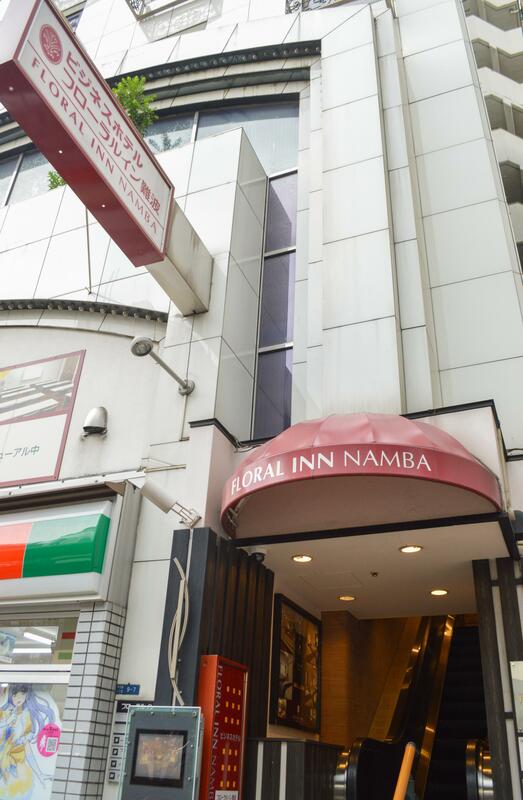 Reservation for non-smoking double room was ¥12,100 (~$132 CAD) for two guests, one night. 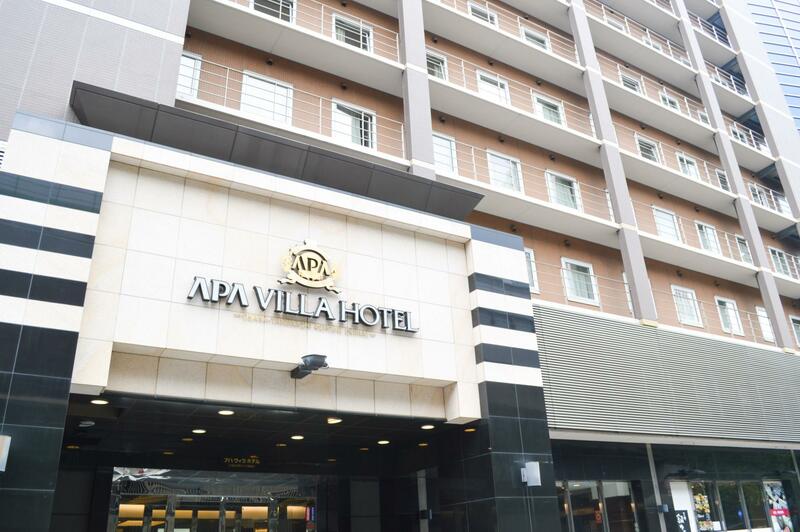 The biggest advantage of staying here is that you are in a great location. 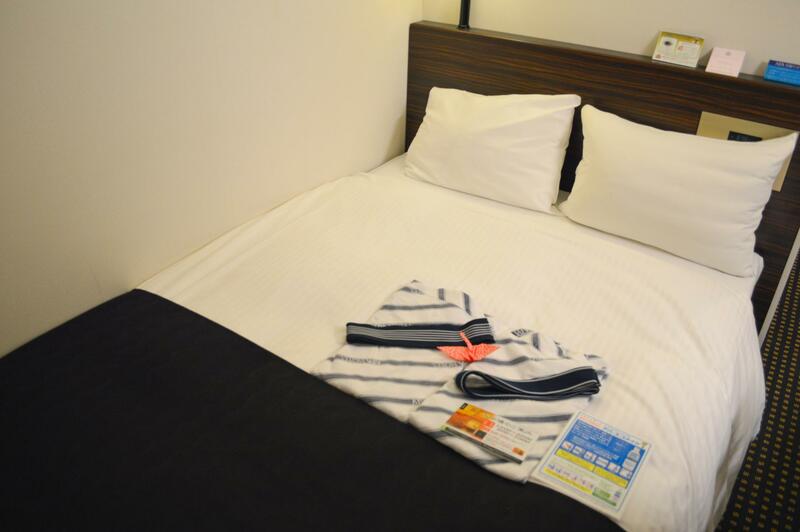 The hotel is very close to subway stations (Namba & Nippombashi Station) and shopping areas (Dotonbori, Ebisubashi-Suji, Sennichimae, Shinsaibashi-Suji). 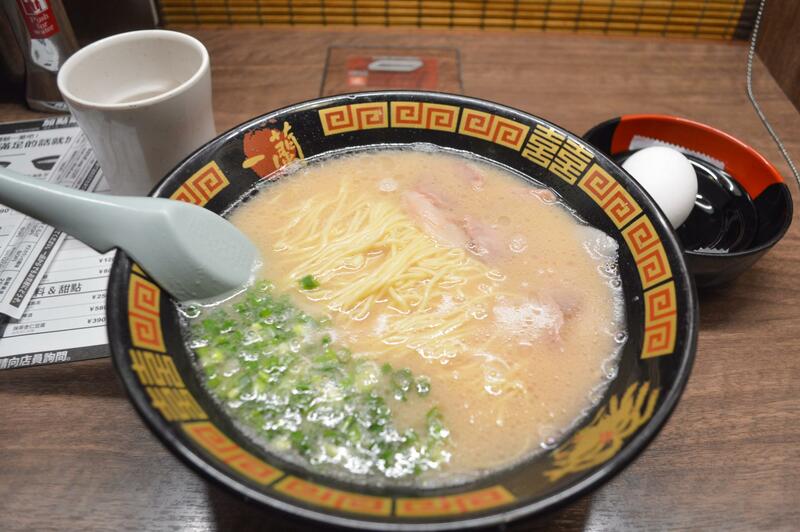 Right beside the hotel is a convenient store and nearby are restaurants that open until late. The hotel lobby was situated on the second floor. 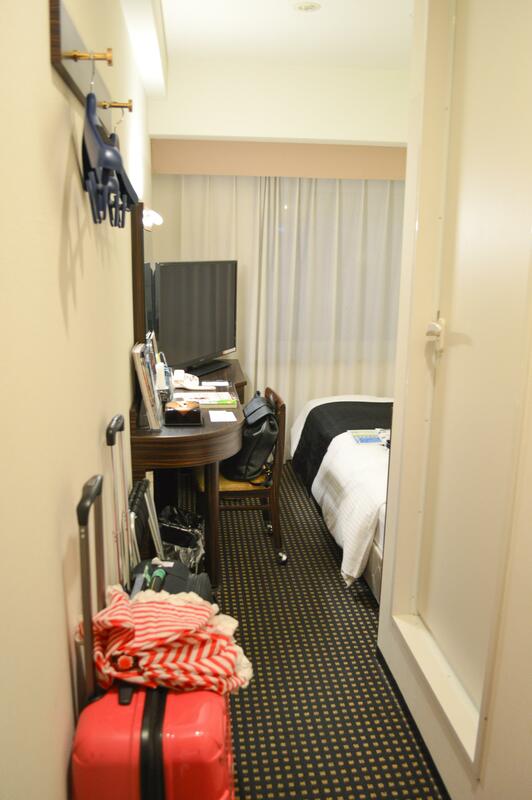 From there, you would take the elevator to your room. But to reach the lobby, you either take the escalator at the front entrance, or you enter through the side entrance stairs. Now the tricky thing is that there is only one escalator and it goes both ways, up and down. 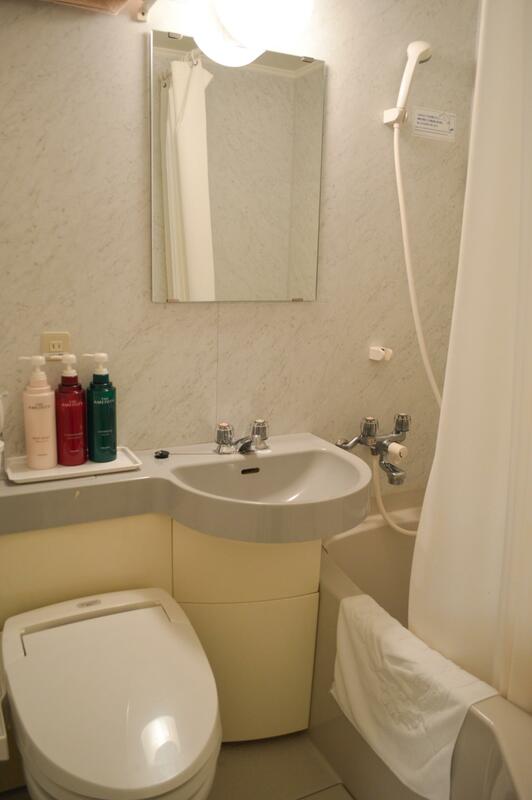 During the mornings, it goes down and this is for the convenience of guests checking out so that they don’t have to carry their heavy suitcases and climb down flights of stairs. During the afternoons and evenings, it goes up so guests checking in will have ease with their luggage. That said, if you were to go back to the hotel during the day or leave at night to go out, you would have to take the stairs instead of taking the escalator. This wasn’t much of a con for me, but my dad is 60 and when you’re that age, stairs aren’t exactly your best friend so just a note if you are to be travelling with someone who may have difficulties climbing up and down some stairs. 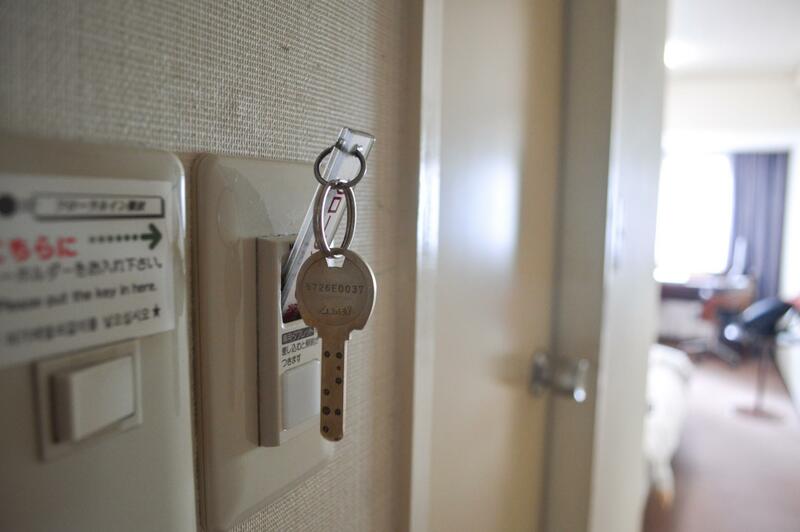 Another con is that the room key is an actual key with a big dangly bar (which is supposed to go into a slot by the door so that you turn on electricity in the room). Obviously not as convenient as a card key that you can easily slip in your pocket or wallet. 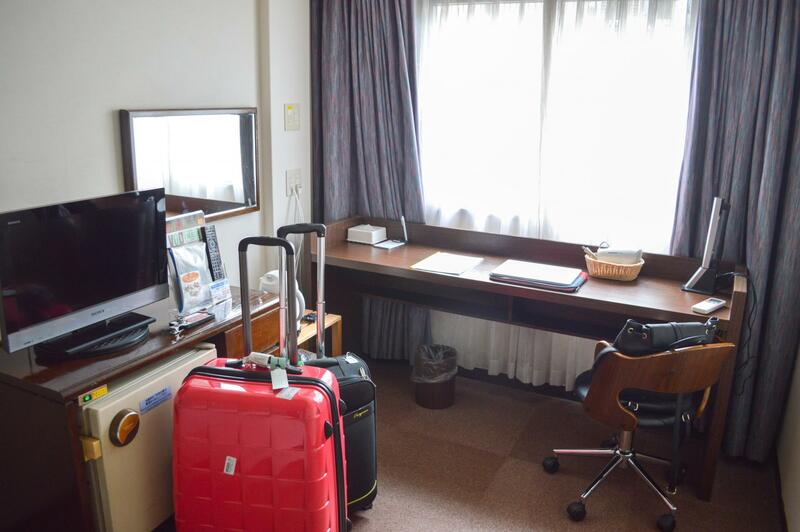 Reservation for non-smoking semi-double room was ¥15,000 (~$164 CAD) for two guests, one night. 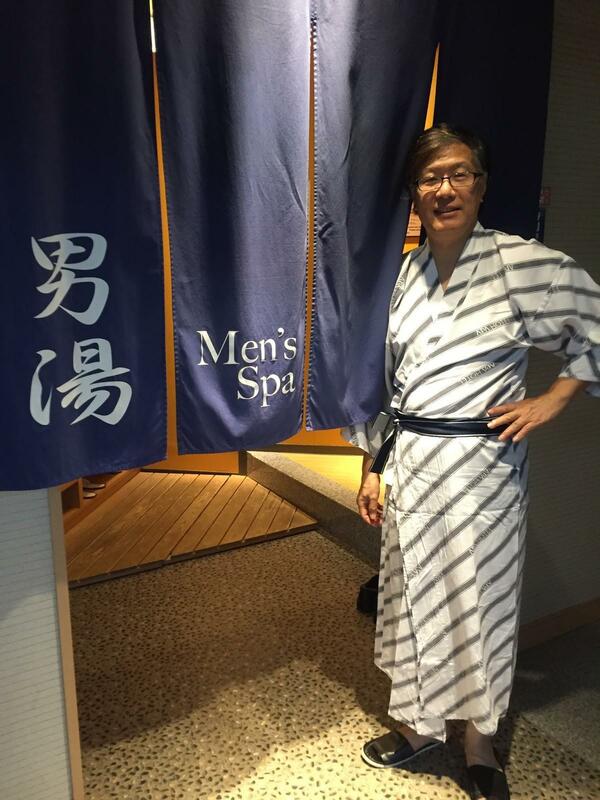 Separated men & women’s spa (hot bath onsen). 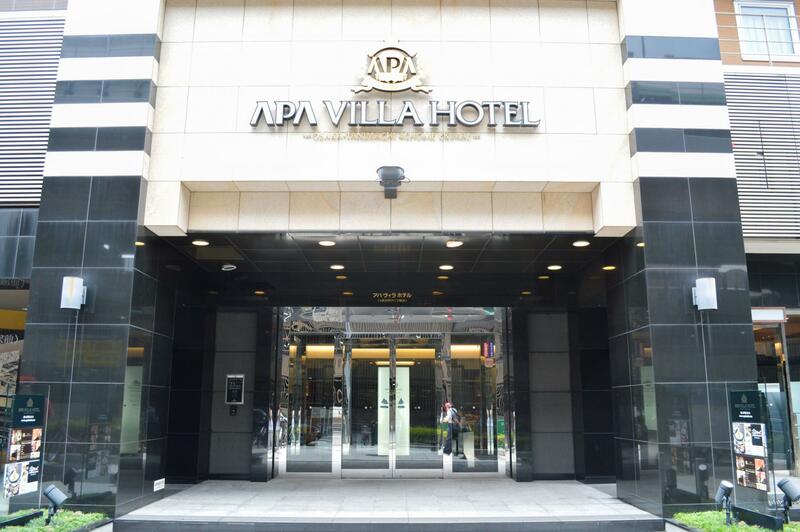 **A 5 to 7-minute walk isn’t bad at all, but in comparison with Floral Inn where businesses are literally right downstairs of the hotel, APA Villa is a little lacking in this aspect. 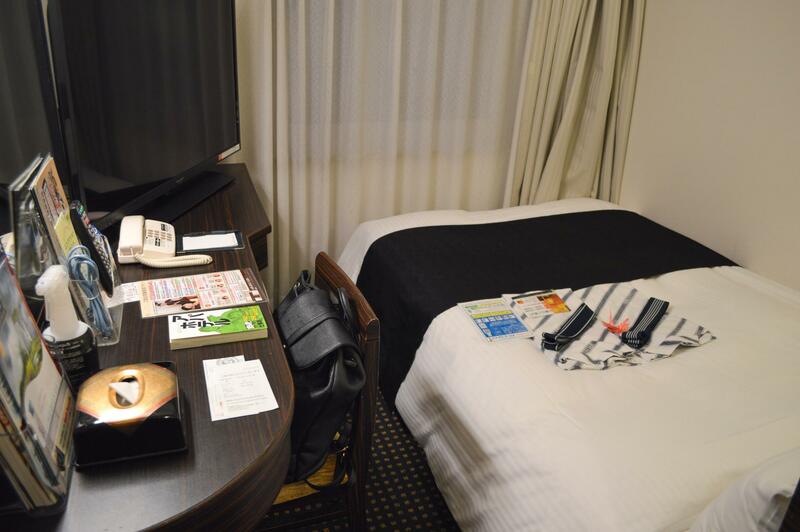 As I’ve mentioned in my Osaka blog post, we had to check-in at two different hotels because I started booking accommodations a little too late hence Osaka Floral Inn only had room for us for the first night and the second night I had to make a different arrangement for at APA Villa. And mind you, we visited at the end of August and I booked hotels in mid-July so that just goes to show how busy the Osaka can get. 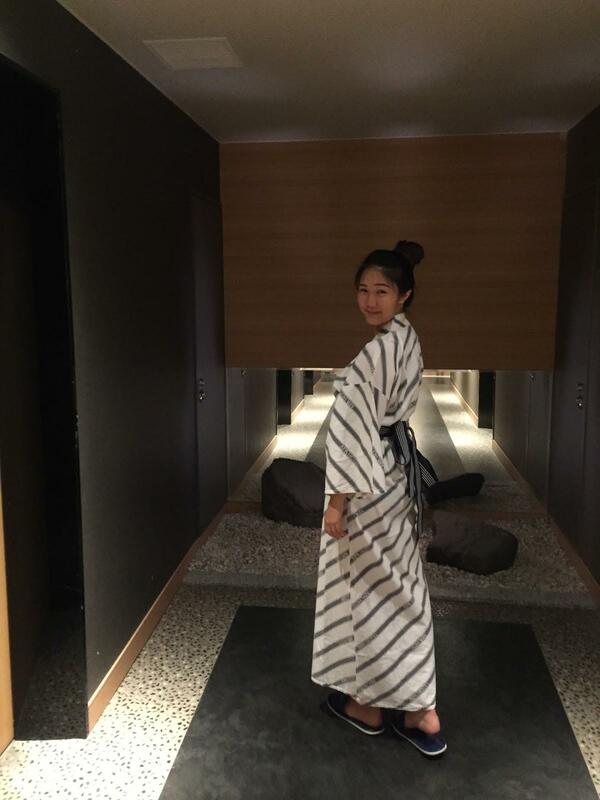 Anyways, these are clearly my personal thoughts and opinions, but I do hope they can help guide you in choosing your stay in Osaka. Love how you listed out the pros and cons for each hotel! It's always a hassle trying to find a nice hotel to sleep in within a reasonable budget. 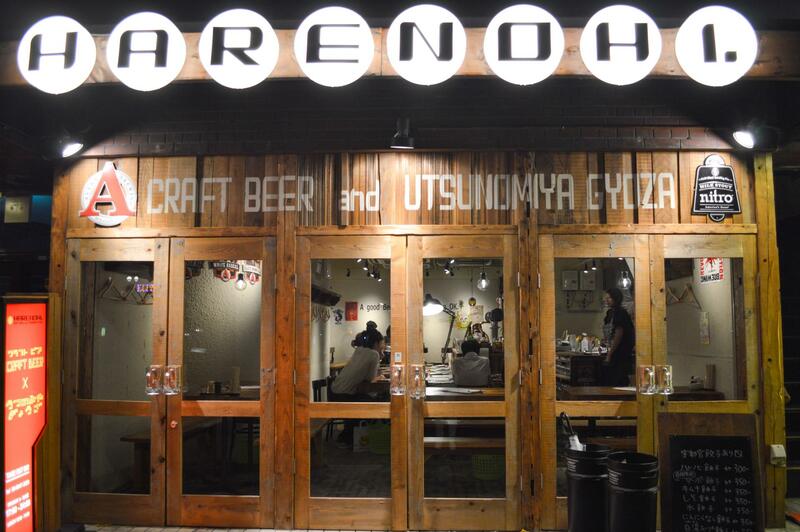 Anyway, any idea of when the lean season is for Osaka? I have always wanted to visit the place myself but would love it if I can avoid the peak season(s). Thanks! Hey there! That's a tough question because there's lots to do in Osaka year round. March to mid-April is their cherry blossom season. A lot of tourists will visit during this time for spring blooming. 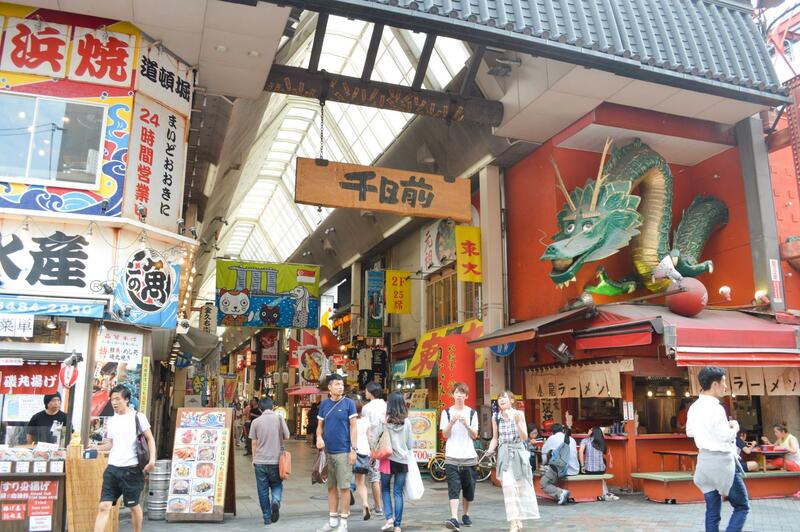 Then after that, you have what's called the "Golden Week" (late April to early May) and this is a public holiday so locals themselves will be on break and streets tend to get rather busy. 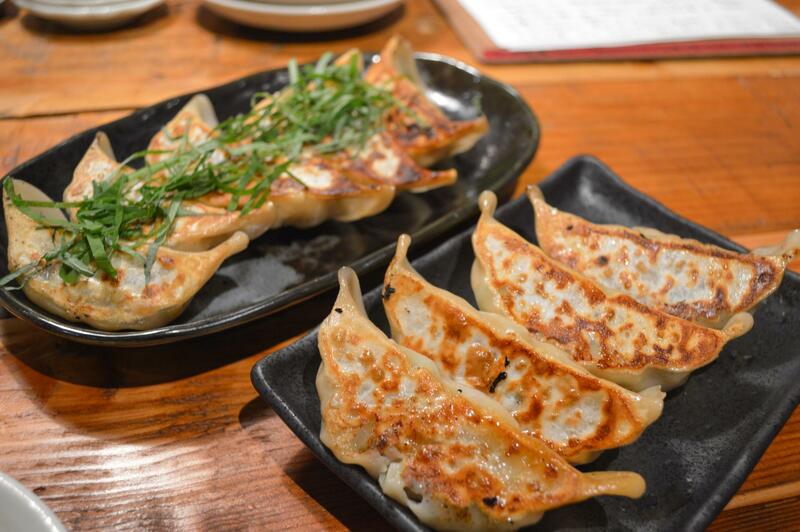 As it gets warmer, you enter summer vacation, which is the end of July to mid-August, and during this time there are many bon festivals, making it the most expensive time to visit. Following that in November, there is the changing of the autumn leaves and hotels fill up quite quickly Then of course winter rolls around and you get the year end Christmas and New Year holidays. That said, I guess mid-January to late February would be a good window to visit, but keep in mind that it gets fairly cold during these months. Other than that, between May and June, and September and October are okay times as well. 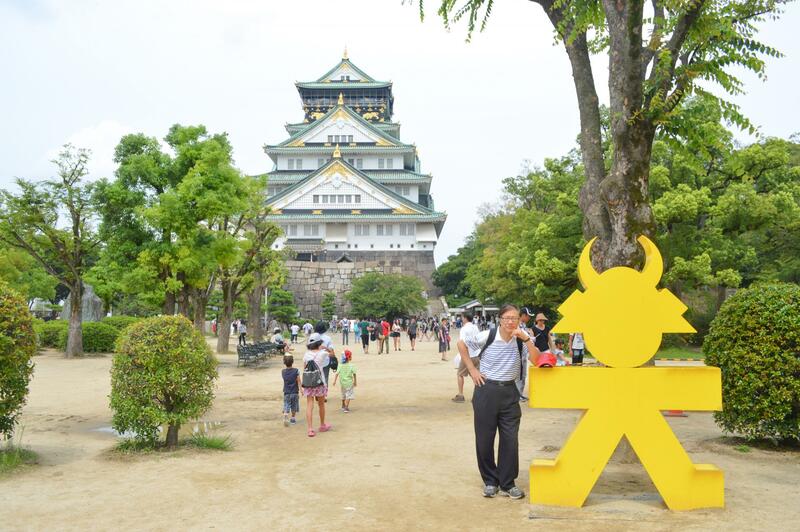 I've visited Osaka the end of October one year and I definitely avoided the crowds. But then again, it depends on what you want to see and experience because obviously if you visit in late January, you won't be able to go on cherry blossom viewings. So peak seasons are popular for a reason after all. It’s really a cool and helpful piece of information. I’m happy that you just shared this useful information with us.